Jason Eckman, 37, is the product marketing manager for the Marine Propulsion Systems division at BRP and has spent his entire career in the marine industry. BRP designed the G2 to give it a bold look in hopes it will stand out in what the company calls a "sea of sameness." Jason Eckman, 37, is the product marketing manager for the Marine Propulsion Systems division at BRP and has spent his entire career in the marine industry. He previously was engineering project manager at BRP and before that he held the same position at Regal Marine. Eckman is a mechanical engineer with an M.B.A. from the University of Florida. 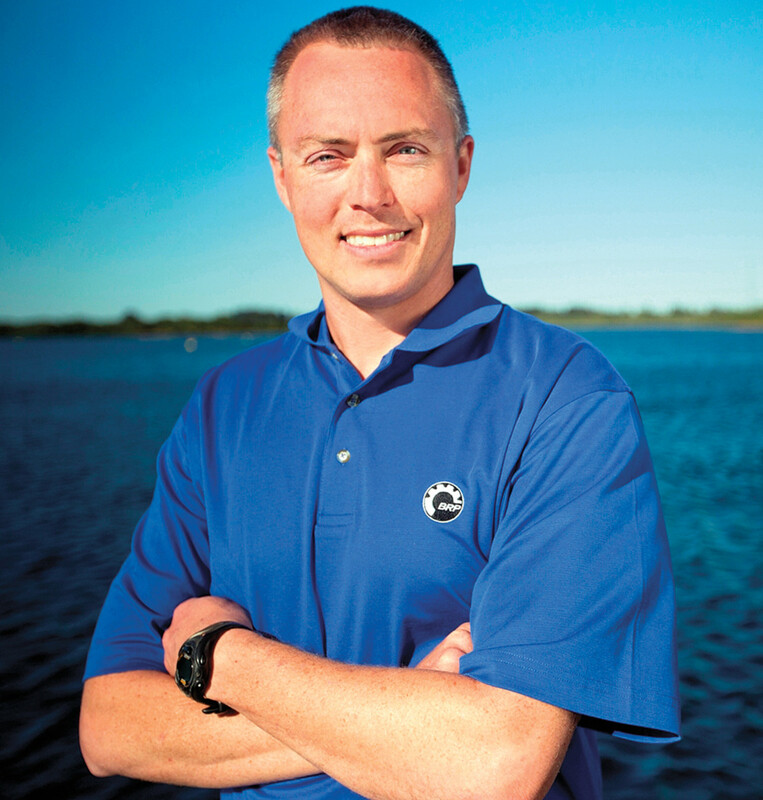 Besides his passion for boating, he is an active pilot and frequently competes in triathlons. He was part of the BRP team that this summer introduced the Evinrude E-TEC G2, the next generation of the manufacturer’s E-TEC line of 2-stroke outboards, which debuted in 2003. 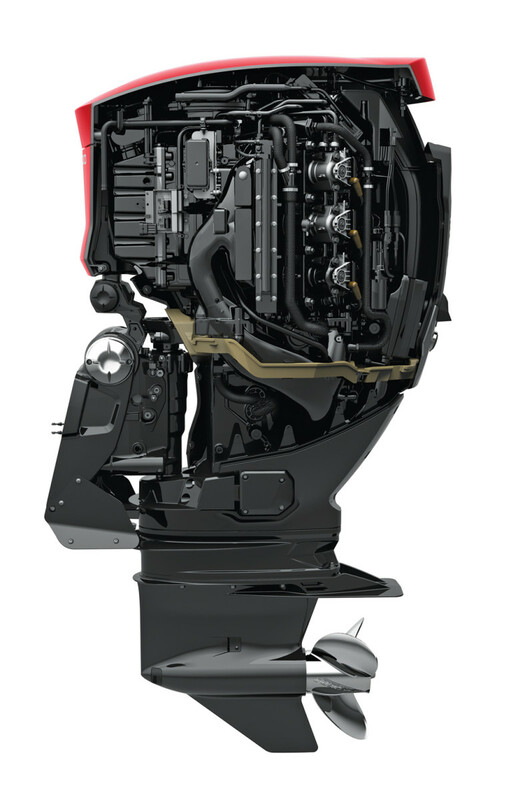 The Evinrude E-TEC G2 is the first outboard BRP has built “from the prop shaft to the flywheel” — the company’s first totally new product in 38 years — and the Canadian company boldly promises significant performance advantages over 4-strokes, such as fewer emissions, better fuel efficiency and torque. The E-TEC G2 is the first outboard engine specifically designed for direct injection, which resulted in the starboard-starboard engine design. That allows both banks of pistons to thrust away from the exhaust port, resulting in more reliable performance. A titanium-oxide coating over aluminum parts enables Evinrude to offer a standard five-year corrosion warranty and no scheduled dealer maintenance for the first 5 years or 500 hours of use. The Evinrude E-TEC G2 line of 200-, 225-, 250- and 300-hp models will make its debut in the consumer market at the Fort Lauderdale International Boat Show that begins Oct. 30. Eckman spoke with Soundings Trade Only about what makes the G2 line unique and BRP’s commitment to 2-stroke technology. Q: The rest of the industry was completely in the dark about the G2 right up until BRP’s big “Reveal” introduction event in June. Can you explain the lengths BRP took to protect the industry’s best-kept secret? A: At BRP, we have a lot of experience at launching market-shaping products. One thing we’ve learned is that it’s critical to keep new products a secret until the time of launch. This allows us to create and sustain a buzz in the industry and in the marketplace that helps drive consumer demand. The only way we are able to achieve this is because our employees and other key stakeholders realize how important confidentiality is to our mutual success. Q: The Reveal event was quite impressive in terms of the multimedia presentation, slick product and the sheer volume of people in attendance. How many dealers (and others) attended, and how did you pull it off? A: At Club BRP in Milwaukee this summer we had more than 3,000 dealers, distributors, boatbuilders and employees from around the world in attendance. A product like the Evinrude E-TEC G2 deserves to be launched in style. This is something that BRP dealers have come to expect from our other brands, and this year it was Evinrude’s turn. From prop to shaft, the E-TEC G2 is completely built by BRP in its plant in Sturtevant, Wis.
Q: With Evinrude’s marketing push for the G2 set to begin, how do you combat public perception of 2-stroke vs. 4-stroke technology? Seeing twin 250s or 300s on a boat typically draws an assumption they must be 4-strokes, so what’s your marketing focus going to be to educate the consumer? A: Education will be the key to our success. We know that when boaters learn about 20 percent more torque and 15 percent better fuel efficiency with 75 percent fewer emissions, the choice will be obvious. The bold design speaks for itself. That begins with boat show season, where the design alone will bring people into the booth to ask questions. This, in turn, gives us another opportunity to explain the unmatched lifetime value provided by the 5-year engine warranty, 5-year corrosion warranty and 5 years or 500 hours with no dealer-scheduled maintenance. Q: 500 hours is several seasons for most boaters. How can you back up that claim? A: Most of the items that are serviced during routine maintenance do not wear out, but rather fail because something else has gone wrong without warning. By adding the visual gear oil reservoir, there is more capacity, and the quantity and quality of the oil can be verified periodically. The water pump is oversized to maintain cooling, even as it wears. A fuel sensor is monitoring the health of the fuel filter. And finally, there are no shift or throttle linkages that require adjustment. Q: Evnirude also is marketing the G2’s “automatic storage and winterization” features. Can you explain how that works? A: Auto-Storage and Winterization is a feature found only on the Evinrude E-TEC. When activated, this feature allows a consumer to quickly store or winterize their engine without bringing it to a dealer. If they get one more nice weekend and decide to pull it out of storage, they simply turn the key and go. Q: Newer 4-stroke technology has a reputation for quieter, cleaner operation. Why has BRP/Evinrude stuck with 2-stroke engines? A: BRP is a world-class leader in innovation and offers a wide variety of propulsion technologies, including 4-stroke engines. For the outboard engine application, no other technology better meets the needs of the consumer than E-TEC. Nothing else comes close to delivering the unrivaled performance while meeting all emissions requirements like an Evinrude E-TEC. Q: The look of the engine is head-turning — like nothing the industry has seen before. Is there any concern about appealing to the old salts who knew and loved the simple-looking, trusty old Evinrude of their past? A: This is certainly something that we had many internal discussions about. When looking at the outboard engine industry, you see what we call a “sea of sameness.” We knew from our other products at BRP that if the design is not bold enough, consumers will quickly lose interest. Even the most conservative among us have come to appreciate the design, so we’re confident that consumers will respond in the same way. One of the biggest innovations can be found in the clean rigging. This feature not only improves reliability by keeping the rigging from moving, but also returns up to two feet of usable space at the transom back to the boater. The bold, breakthrough design of the Evinrude E-TEC G2 will be turning heads for years to come. Q: Are there plans for additional horsepower options? A: BRP is a world-class leader in market-shaping products and innovation. We are proud to now be a benchmark of the future in the outboard industry with the launch of the Evinrude E-TEC G2. Within the next few years you can expect us to deploy the E-TEC G2 technology across our relevant platforms. Q: What’s the thinking behind the mix-and-match color options for the G2? Aren’t boaters happy to just buy a brand they like and mount it on their boat? A: In the past, boaters had to choose between buying a generic-looking engine or paying more than $3,000 to have their engine painted to match their boat. This was not a reasonable option for most consumers. The customizable design of the Evinrude E-TEC G2 allows for over 400 different color combinations so that you can find the perfect match for your boat. Q: What type or size of boat is the G2 best suited for? A: The Evinrude E-TEC G2 is designed to deliver unrivaled and cleanest performance; bold, breakthrough design; and unmatched lifetime value on all types of boats in the 200-300-hp category, including bass, multi-species, inshore, offshore and pontoons. Q: How do you want the Evinrude brand to be perceived? For example, some say Mercury is known for speed, while Honda is known for durability. What do you want the new Evinrude to be known for? A: I would sum it up with the three pillars of the Evinrude E-TEC G2: unrivaled and cleanest performance; bold, breakthrough design; and unmatched lifetime value. Q: How many dealers are in the BRP family at this time, and are there any particular regions in the country (or world) where BRP would like to expand its dealership reach? A: BRP has a network of 4,200 dealers and distributors spanning 105 countries. We have committed to growing our network over the next 36 months. We are looking at China and Brazil, among others. Q: The Sturtevant (Wis.) plant is notable for its 400,000-square-foot size, cleanliness and clearly efficient manufacturing process. Does BRP have plans for additional growth? A: BRP, through its newly created and dedicated Marine Propulsion System division, has invested more than $25 million in a world-class campus in Sturtevant. BRP’s goal has always been to deliver a superior consumer experience, and we want to bring that same excellence to the marine industry. This facility provides us with the necessary resources to deliver on our goal. Q: What does BRP hope to accomplish at FLIBS? What can the industry expect in terms of presence? 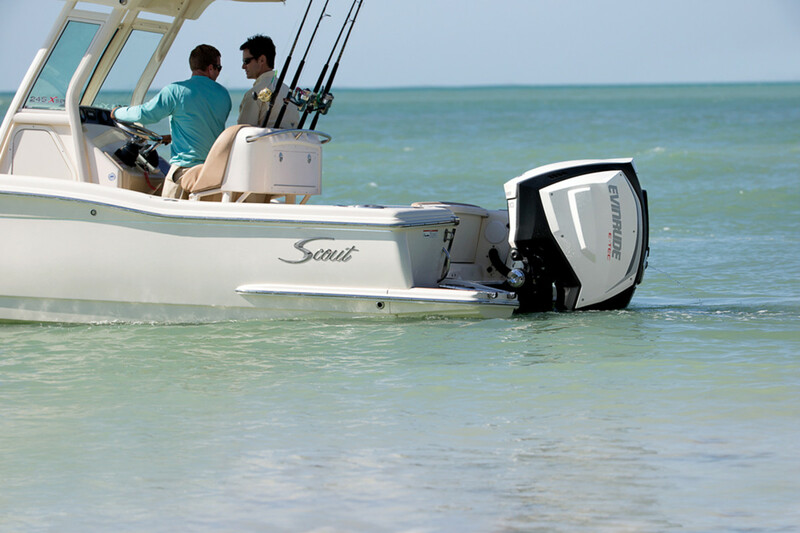 A: We plan to exhibit and offer consumer test rides of the Evinrude E-TEC G2 at FLIBS. One thing that we know about Evinrude customers is that they want the very best technology in outboards for their boat. And without question, the Evinrude E-TEC G2 was developed to deliver on their high expectations.